Apple CEO Tim Cook has called on the government to double down on data privacy regulation in 2019. Apple CEO Tim Cook is adding his voice to the wave of tech giants, privacy watchdogs, and consumers calling for the government to roll out tightened consumer data privacy regulations. The Apple executive called on Congress to pass “comprehensive federal privacy legislation” that would effectively regulate the collection of personal data, increases transparency around how and why data is collected, enables the right to access and delete personal data, and amps up data security. The Apple exec, for his part, called on the Federal Trade Commission (FTC) to develop a “data-broker clearinghouse” where companies would need to register the personal data that they collect and sell. Data brokers are the companies that collect consumers’ information, package it and sell it to another buyer. “We believe the Federal Trade Commission should establish a data-broker clearinghouse, requiring all data brokers to register, enabling consumers to track the transactions that have bundled and sold their data from place to place, and giving users the power to delete their data on demand, freely, easily and online, once and for all,” he said. Cook’s call to action comes almost a year after Facebook’s infamous Cambridge Analytica incident exposed the data of tens of millions of users, ultimately thrusting data privacy and security into the spotlight. 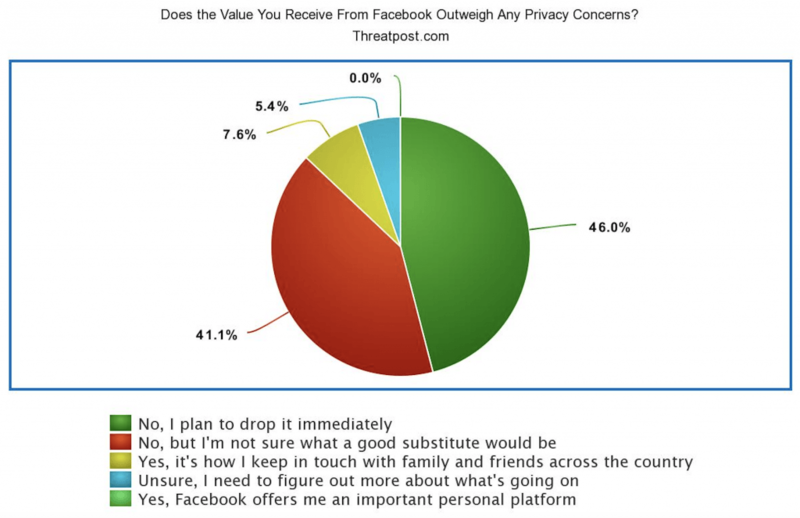 For Facebook, privacy concerns are seemingly beginning to outweigh the platform’s social value. 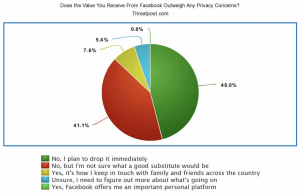 In fact, a Threatpost poll of over 350 respondents conducted Wednesday found that 85.05 percent of respondents don’t think the value they receive from Facebook outweighs privacy worries. A Wednesday study by the Pew Research Center found that 51 percent of Facebook users were uncomfortable with Facebook compiling a list of their interests to target them with ads. 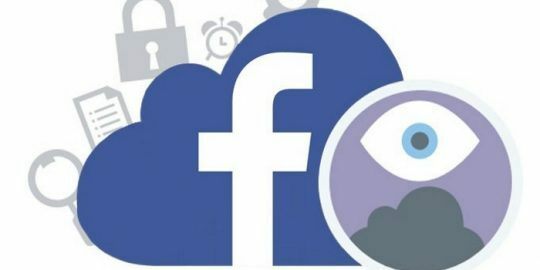 And it’s not just Facebook – companies ranging from the Weather Channel app and Google have found themselves in hot water for being too invasive when it comes to data collection. 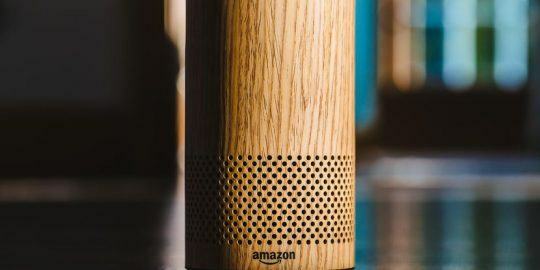 Despite the apparent concerns of consumers, little has actually been done to increase data privacy on the government’s front. Currently, a Federal Trade Commission consent decree from 2011 requires the social network to receive explicit permission from users in regards to sharing their data with third parties. In Facebook’s case, the FTC in March announced it is launching an investigation into Facebook’s data privacy practices after the Cambridge Analytica scandal. Facebook could rack up to $40,000 in fines per violation if found guilty. 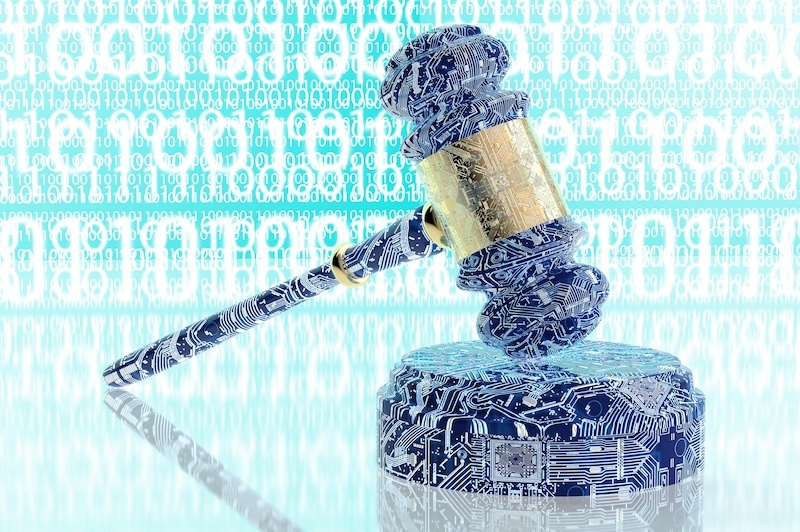 There have also been an array of state laws that have been both proposed or passed regarding data privacy, including the California Consumer Privacy Act (CCPA) which gives California residents the right to know when their personal data is being collected and how it’s being used; and Nebraska’s Legislative Bill 757, which requires companies holding personal information to implement specific security procedures, and protect consumers’ credit should a breach occur. In a Wednesday post, Sen. Marco Rubio (R-Fla.) on Wednesday also called on the U.S. government to hone in on data privacy, and introduced a new bill targeting regulations around data collection and misuse. The bill, the American Data Dissemination (ADD) Act, uses the Privacy Act of 1974 (a privacy law establishing code of fair information practices that governs the collection, maintenance, use, and dissemination of information) as its framework. The bill would essentially enable the FTC to create new privacy guidelines for Congress, with a goal of having them in place within 18 months of the bill becoming law. But despite these efforts we have yet to see any solid type of federal regulation law passed.